SASecure offer the widest choice is available technology and with EM systems being a popular choice in garden centres, country style stores and many fishing tackle outlets along with many other interesting commercial and industrial applications. 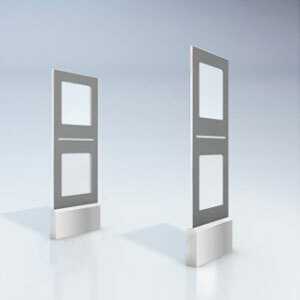 We are pleased to offer a range of Tagit SA solutions suitable for single, double and multiple aisle entrances and exits. Tagit EM security technology has been successfully harnessed and proven in a variety of high value commercial asset security, and process control applications like Industrial Asset Control, Commercial Asset Security and Production Process Control. Where the ‘costs and commercial implications’ of sending defective product to a customer are of a high order, EM technology provides a gratifyingly effective and reliable solution. 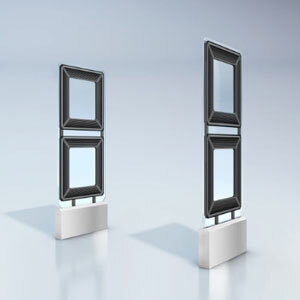 The TAGIT EM Fortuna system is manufactured using high quality materials. Using its patented 3D detection and an installation distance of up to 130cm it produces high level detection in all three label orientations. The installation distance depends on the configuration and the on site electrical noise level. This system is designed for the protection of confidential documents at high-tech companies and government institutions, items for libraries, archives and retailers. Standard color is white. Other colors are available in accordance with customer request. 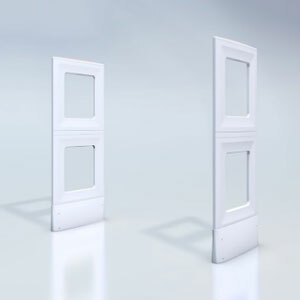 The TAGIT EM Premium System is manufactured using high quality hollowed-out acrylic material. It has a translucent & glittery look, being highly resistant to wearing. Using its patented 3D detection and an installation distance of up to 110cm it produces high level detection in all three label orientations. The installation distance depends on the configuration and the on site electrical noise level. Designed for exit protection of the global high-end cosmetic stores, libraries, archives, book stores and pharmacies exported across the world. 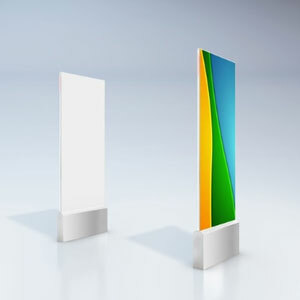 The TAGIT EM Premium light System is manufactured using acrylic material. It has a translucent look, being highly resistant to wearing. Using its patented 3D detection and an installation distance of up to 130cm it produces high level detection in all three label orientations. The installation distance depends on the configuration and the on site electrical noise level. This system is designed for the protection of confidential documents at high-tech companies and goverment institutions, items for libraries, archives and retailers. Standard colors are white and black. Other colors are available in accordance with customer request. The TAGIT EM Eureka system is manufactured using high quality materials. Using its patented 3D detection and an installation distance of up to 110cm it produces high level detection in all three label orientations. The installation distance depends on the configuration and the on site electrical noise level. This system is designed for exit and cash desk protection of cosmetic stores, libraries, archives, book stores, pharmacies and groceries exported across the world.